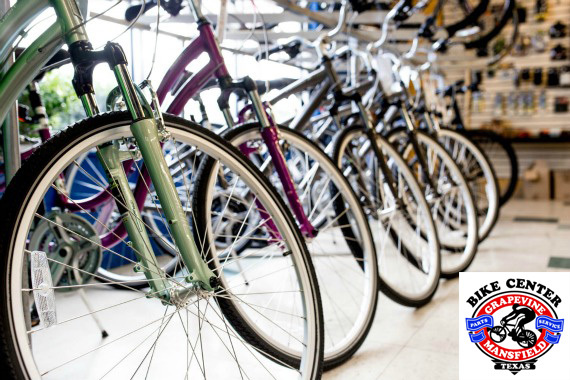 At Grapevine Bike Center, we carry a full line of bikes and bike accessories in top name brands. "Getting bikes in gear for those summer rides." "We'd love to know what brought you to our biking haven." "May our showroom inspire your wildest dreams." "It's true -- we do it all." "Need bike advice? Let us help -- we never tire of questions." Yes, I'd like to receive news from Grapevine Bike Center. Sign up for the Grapevine Bike Center Newsletter!